The Hellspawn has a new face under its shadowy exterior. 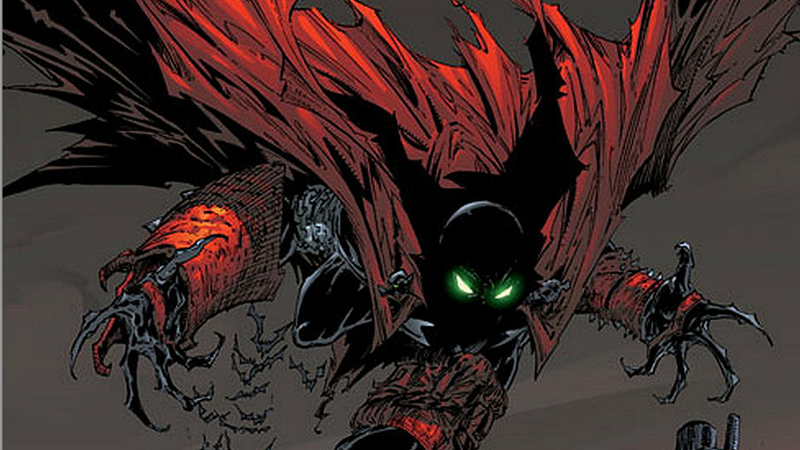 Todd McFarlane has spent years talking about a Spawn reboot that has often felt like it was never going to happen, but now it’s taken a pretty huge step forward. McFarlane has found the man who will don the Hellspawn mask: Jamie Foxx. Deadline reports that the previously-rumored Foxx will play Spawn in McFarlane’s directorial debut, adapting the iconic character he created at Image Comics in 1992. Deadline describes the movie’s version of Spawn as Al Newman, rather than Al Simmons as he is in the comics. He’s a CIA operative betrayed by his employees and left to die, only to wake up in hell and be offered a chance to return to the mortal world... only to be betrayed again, and have his soul placed inside a Hellspawn warrior, leading a life of vigilantism as the anti-hero Spawn. A few years back I flew out to Arizona to meet the man behind one of the most incredible comic book characters in the universe… Todd McFarlane. He was taken aback when I told him with the enthusiasm of a young child that more than anything I wanted to put my name in the hat to embody his beloved character Spawn…. I told him no one would work harder than me if given the opportunity… well… the opportunity is here!! I’m humbled and ready to transform… and to top things off the young Jason Blum is lending his brilliance to the project! Time to be great!!!! #Spawn. Now, five years later, he’s finally getting his wish. The Spawn reboot, said to be going for an R rating and a slim budget, does not yet have a release date.